Eight new teams have been confirmed for the second season of the Overwatch League, and Blizzard has provided us with our first look at the team colours for newcomers the Chengdu Hunters. As you can see from the images reproduced here, the new team has assumed the panda as its logo. ”The Overwatch League is an international league, and the Chengdu Hunters will not only impress the gaming world with their excellent performance but also will bring to the league more Chinese elements, increasing our diversity,” he began. 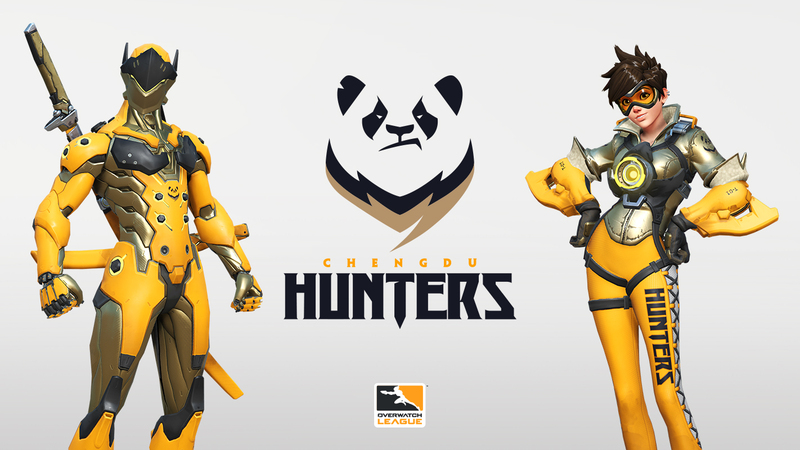 “The name, Chengdu Hunters, means bravery, smartness, swiftness, and team work; the name was chosen as a symbol of the team’s dedication to pursuing the honor of the league. The Overwatch League 2019 commences on 14th February (Happy Valentine's Day!) and will see a total of twenty teams compete against each other throughout the spring and early summer.